According to Deadline, the Titanic (1997) star and Brooklyn (2015) lead will play lovers. The premise sees a romance between palaeontologist Mary Anning and a wealthy London woman in an 1840’s coastal town as Anning unexpectedly becomes a nursemaid. Both actresses have been busy this year, with Winslet currently filming Blackbird (2019) and recently wrapping up work on Avatar 2 (2020), while Ronan has been on screen opposite Margot Robbie in Mary Queen Of Scots (2018). Having previously revealed she was to take a break from acting after the gruelling experience of Mary Queen Of Scots, the casting of Ronan may have come as a surprise. “I’m going to take most of the year off and travel, do a bit of writing and work with my friends on something small. We’re all around the same age, which is unusual for me because I’d always been the young person working on my own.” Said Ronan. Production on the movie, which will be produced by Iain Canning (2010’s The King’s Speech), Emile Sherman (2016’s Lion), and Fodhla Cronin O’Reilly (2016’s Lady Macbeth), is scheduled to begin in March 2019. 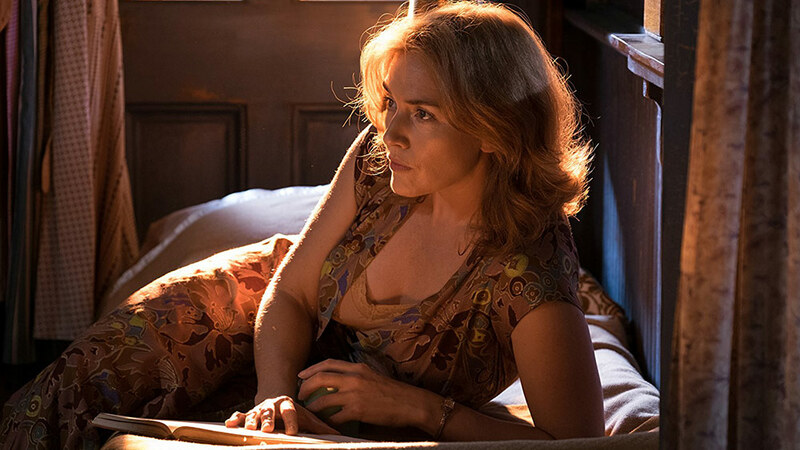 Kate Winslet in Woody Allen’s Wonder Wheel (2017). Next Post ‘Bumblebee’ Review: A Roof-Down, Pedal to the Metal Joy-Ride!